Convert DAT files to MP4, MOV, WMV, and other 1000+ video formats. 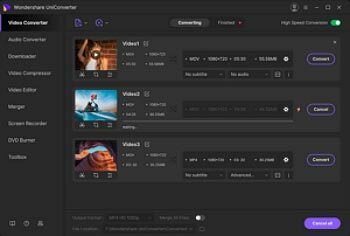 Edit DAT files with trimming, cropping, rotating, adding watermarks, applying effects, etc. Compress DAT file size smaller without losing quality. Sometimes you can't open a movie on avseq.dat file, or can't import video from a VCD or AVSEQ01.DAT file into FCPX. To easily solve your problem, you need to convert DAT videos to MP4, WMV, MOV (QuickTime) and most other popular, standard video formats on Windows and Mac. 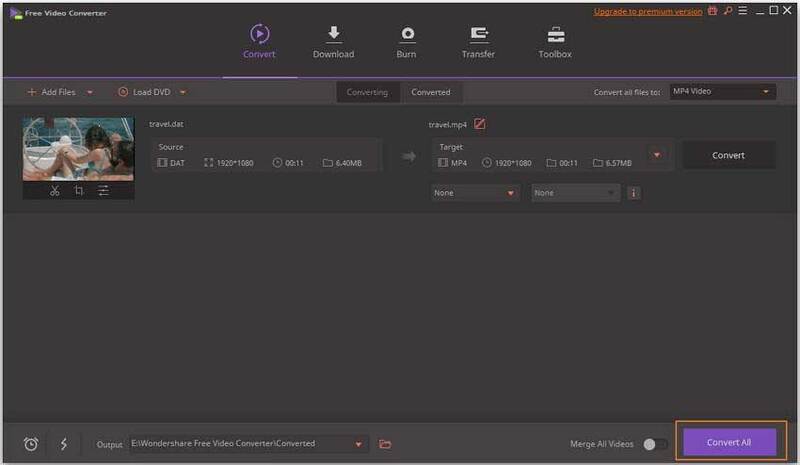 This article will recommend a great DAT video converter also the online and free methods to convert DAT to MP4 easily and quickly. To convert DAT to MP4/MOV/WMV or other common formats, Wondershare UniConverter (originally Wondershare Video Converter Ultimate) will be your best choice. It supports 1000+ video formats for conversion and you can customize video format for devices and specific platforms such as YouTube, Facebook, and Twitter. 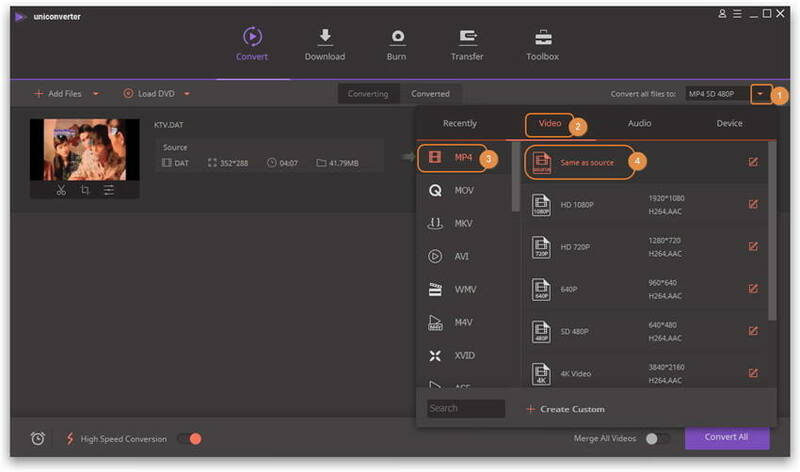 This DAT converter allows you to edit DAT files with trimming, cropping, rotating, adding watermarks, and more others. Other functions like compressing DAT file size, transferring DAT files to phone, making GIF, are supported. Read following parts to know more features about it and the detail steps. Convert DAT to MOV, MP4, WMV, AVI, and more SD, 3D and HD video formats on Windows/Mac. Convert DAT to mobile phones, QuickTime, Final Cut Pro and iMovie with the optimized presets. Personalize DAT video like a professional video editing tool by trimming, cropping, adding subtitle. Convert DAT videos to smaller size with super fast speed and no quality loss. Burn DAT files to DVD/Blu-ray disc with free menu templates. Transfer DAT files to iPhone/Android devices directly via a USB cable. Additional toolbox with functions of Fix Video Metadata, GIF Maker, Screen Recorder, Video Download, etc. The tutorial below will tell you how to convert DAT to MP4 or MOV for Windows (Windows 10 included). If you are looking for how to convert DAT to MP4 or MOV for Mac (Mojave included), download the Mac version and follow the similar steps below. Step 1 Import DAT videos to this DAT video converter. 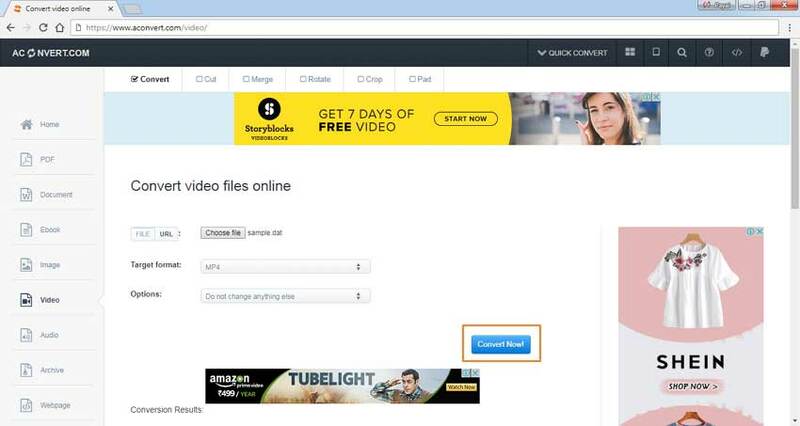 Open Wondershare DAT video converter on your PC/Mac, and go to the Convert section by default. Click the Add Files button on the left-top corner to add your DAT files for conversion. Drag and drop the DAT files to the video converter can also import videos. 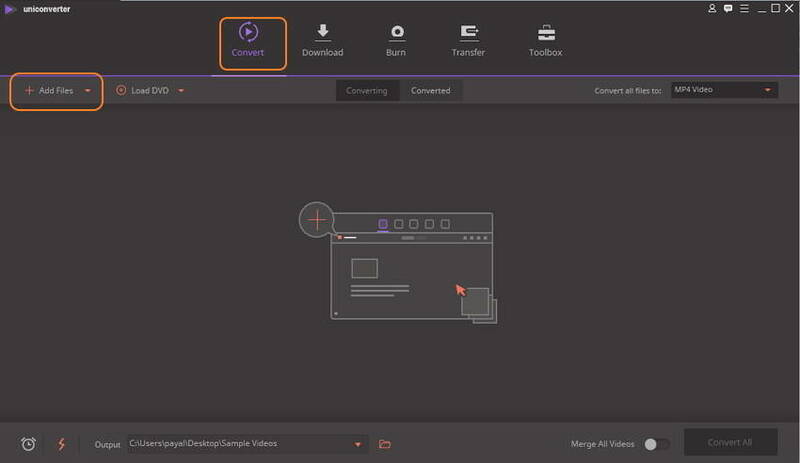 (Optional) At this time, if you need to join all imported files together into a single file, just enable the Merge All videos option at the bottom of the interface. Step 2 Choose an output format like MP4, WMV, MOV(QuickTime), etc. Open this app's output format list by hitting the drop down icon of Convert all files to:. And then select any one of video formats or optimized presetting you want. If necessary, you can also set the customized video format with special parameters like Resolution, Bit Rate, Frame Rate and more. To do these, just hit the Format Settings icon beside the Preset item to open its setting window, select the settings as you wish, and then click Create to save them. Step 3 Start DAT video conversion. Convert DAT files to the format you've selected by pressing the Convert All button on the lower-right corner of this app's interface. Next, you can see the conversion progress bar in this app's pane, which shows you the remaining time as well. 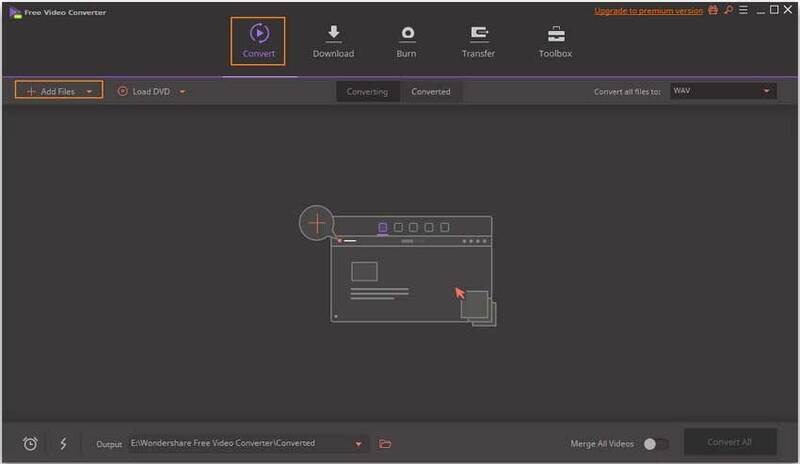 When the conversion is finished, you can access the output folder of this DAT Video Converter by clicking the Converted tab and then click the Open File Location icon. Just enjoy the output files. If you want to play them on some device, an extra step is to transfer the output files to your device, learn more about file transfer with this DAT converter. Free tools are the best choice to convert DAT to MP4 if there are a limited number of files and there is no requirement for additional features of functions. There is no dearth of free DAT video converter, and for your convenience, we have picked up the best one in this category. Free Video Converter from Wondershare is an excellent program that allows converting an array of videos and audio files to formats that are compatible with iOS devices. The APEXTRANS technology of the software makes the conversion process super fast and high-quality, it also comes loaded with in-program editing features like rotating, merging, cropping, trimming, and others. YouTube videos can also be downloaded for offline playback and can then be converted to other needed formats. The free version has very similar interface and steps with Wondershare UniConverter (originally Wondershare Video Converter Ultimate) we mentioned in Part 1. 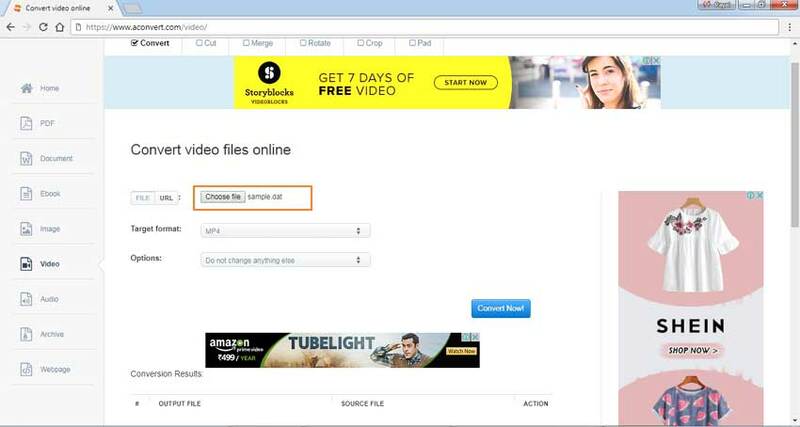 Step 1: Download, install and launch Wondershare Free Video Converter on your PC/Mac. From the Convert window, hit the Add Files button to browse and add DAT file(s) from your computer. 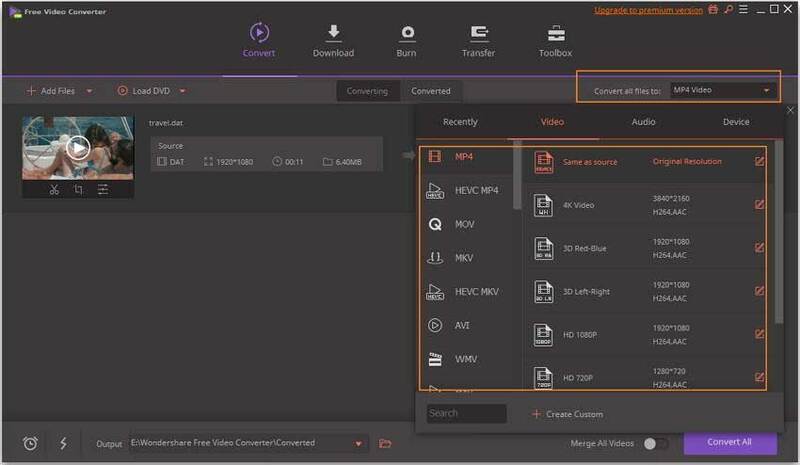 Step 2: Once DAT file is added, click the drop-down menu next to the Convert all files to: option to open the formats list, and choose one format you want to convert DAT videos to, such as MP4. 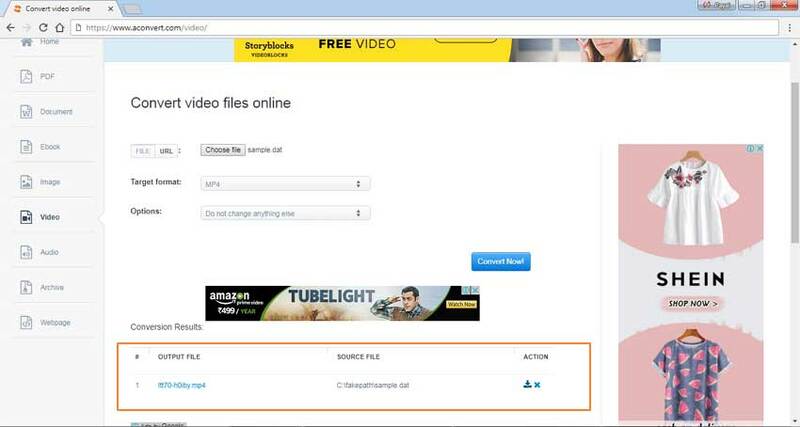 Step 3: Finally, click on the Convert All button to convert DAT to MP4 or other formats you selected. After the converting process completed, the finished message will be displayed. 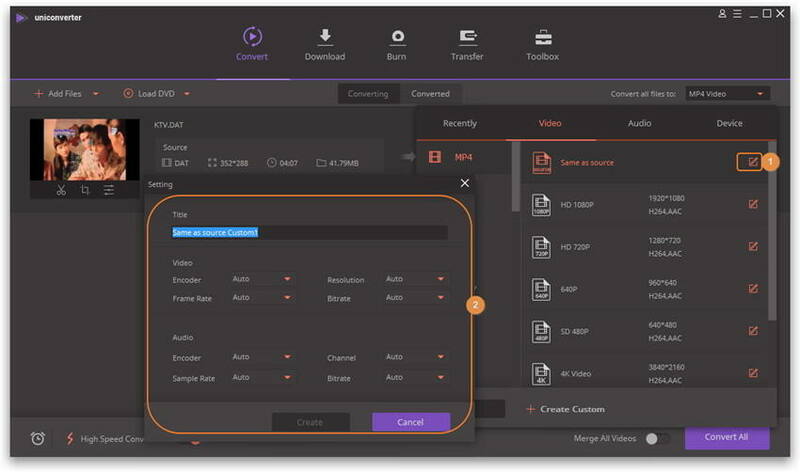 Provide an array of video and audio formats for conversion for free. Other functions related to video such as Video Download, Burn DVD, Video Transfer are available. Having a watermark on the output video like most free converters you can find. Less functions than Wondershare UniConverter (originally Wondershare Video Converter Ultimate). 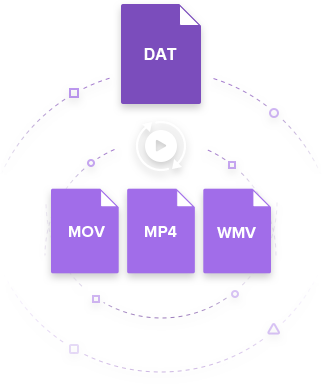 AConvert is another free option for converting DAT to MP4, DAT to MOV, DAT to WMV, or other video formats. The program has decent conversion speed and allows adding files up to 200MB in size. Once converted, the file can be either saved to your desktop, Google Drive or Dropbox. AConvert also allows changing the bit rate, frame rate or size of the output file is needed. The interface of the program is simple and easy to understand. Step 1: Open https://www.aconvert.com/video/ on your PC browser. Click Choose File to browse and add desired DAT file to the program interface. Step 2: Select MP4 (or any other if needed) as the Target format. Under Options: tab, you can also change the size, bit rate, or frame rate of the file is needed. Step 3: Hit the Convert Now button to start the process. Once converted, the file can be downloaded from the link at the software interface. No need for any download or installation. Allows changing bit rate, frame rate or size if needed. 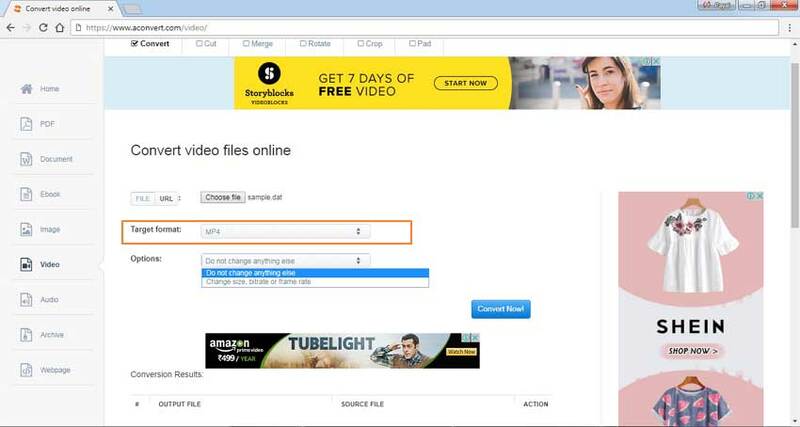 Converted videos can be saved to PC, Dropbox or Google Drive. No batch processing and additional features. File size limitation on uploading videos. Limited formats as compared to other similar programs. Converting speed depends on the Internet connection. There are mainly three kinds of files with .dat extension: general data file, the Winmail.dat file used in email, and VCD video files. And the third one is what we are talking about. A DAT video is usually used to store MPEG-1 encoded video stream on VCD or SVCD discs. In most cases, the DAT videos are hard for you to play. So converting DAT to popular, standard video formats is necessary for wide uses. Question 2: Why I Can't Open the avseq.dat File on Windows or Mac? You need to use a third-party program to convert DAT to QuickTime, or convert DAT to MP4. Then you can watch the movie on avseq.dat file. Though the above 2 free methods will help you to convert DAT to MP4 free or online. 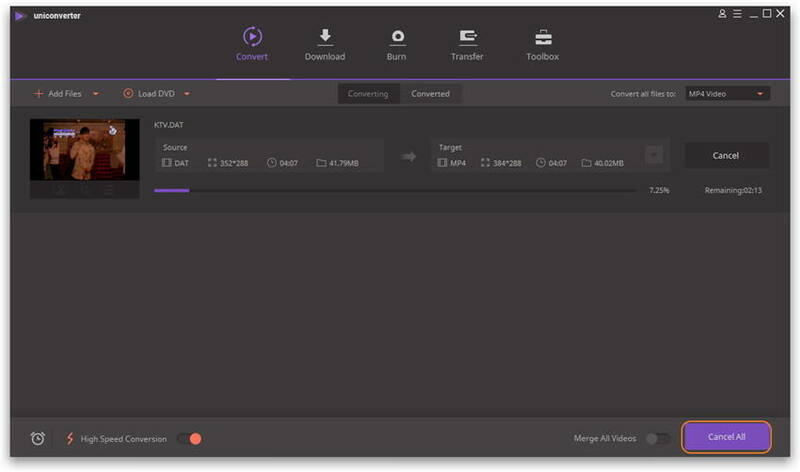 If you want to own a more professional video converter without ads or watermarks to finish the conversion tasks more time-saving and quickly, just download Wondershare UniConverter (originally Wondershare Video Converter Ultimate), the best DAT video converter, for free trial.